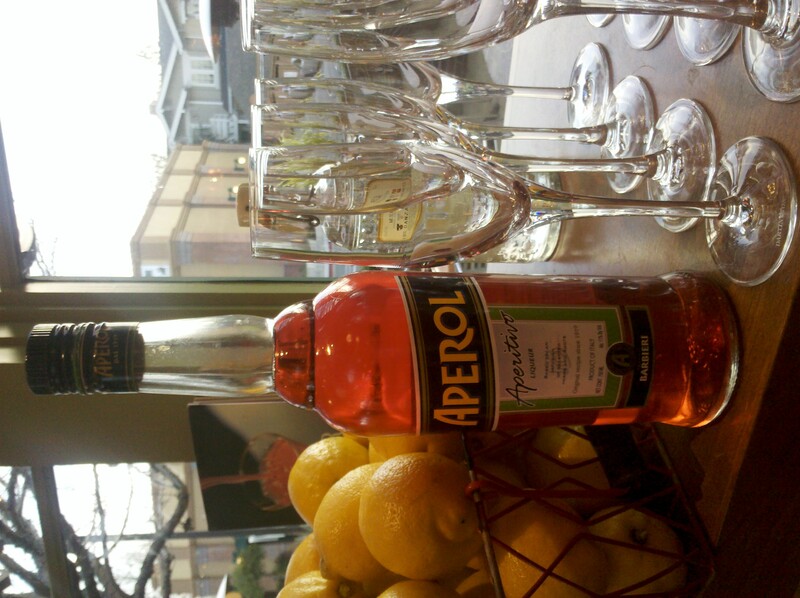 Aperol is an Italian bitter, usually drank as a digestif or apertif. It originated in 1919 in Padova, Italy. Aperol is bright orange in color with a bitter, sweet taste. Some of the infusions in the liquor are bitter oranges, gentian, rhubarb and cinchona to name a few of the many herbs and roots.